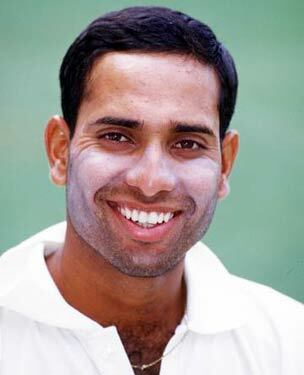 VVS Laxman is one of the finest Test player ever played for India. Recently he has announced his retirement from International cricket. Let us find out what caused him to retire and what made him very very special astrologically. 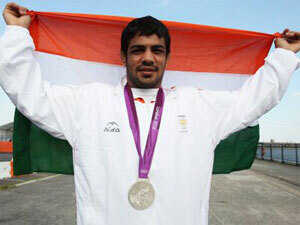 Wrestler Shushil Kumar won silver medal in recently concluded London Olympics 2012. He was speculated as the contender of gold medal, however, he had to satisfy with silver only. Let’s find out what was the cause of this. London Olympics 2012 has begun. Recent past of India in Olympics cannot be said very bright. However, there's much hope this time. Let's see what astrology reading says about it. My friend asked this interesting question perhaps this might be the question of millions in India. Find IPL 2012 predictions or IPL 5 astrology to know if Mumbai Indians (MI) or Chennai Super Kings (CSK) will win in the match of 23rd May, 2012. In this article, I have astrologically predicted about the IPL match of 23rd May. Find IPL 2012 predictions or IPL 5 astrology to know if Delhi Daredevils (DD) or Kolkata Knight Riders (KKR) will win in the match of 22nd May, 2012. In this article, I have astrologically predicted about the IPL match of 22nd May. Find IPL 2012 predictions or IPL 5 astrology to know if Kings XI Punjab (KXIP) or Chennai Super Kings (CSK) will win in the match of 17th May, 2012. In this article, I have astrologically predicted about the IPL match of 17th May. Find IPL 2012 predictions or IPL 5 astrology to know if Mumbai Indians (MI) or Kolkata Knight Riders (KKR) will win in the match of 16th May, 2012. In this article, I have astrologically predicted about the IPL match of 16th May. Find IPL 2012 predictions or IPL 5 astrology to know if Pune Warriors (PWI) or Royal Challengers Bangalore (RCB) will win in the match of 11th May, 2012. In this article, I have astrologically predicted about the IPL match of 11th May. Find IPL 2012 predictions or IPL 5 astrology to know if Rajasthan Royals (RR) or Chennai Super Kings (CSK) will win in the match of 10th May, 2012. In this article, I have astrologically predicted about the IPL match of 10th May.